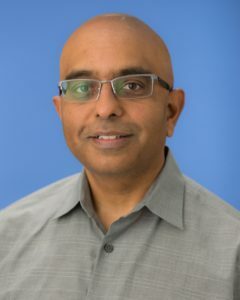 Ashok N. Srivastava, Ph.D. is the Senior Vice President and Chief Data Officer at Intuit. He is responsible for setting the vision and direction for large-scale machine learning and AI across the enterprise to help power prosperity across the world. Previously, he was the VP of Big Data and Artificial Intelligence Systems and the Chief Data Scientist at Verizon. His global team focuses on building new revenue-generating products and services powered by big data and artificial intelligence. He is an Adjunct Professor at Stanford in the Electrical Engineering Department and was the Editor-in-Chief of the AIAA Journal of Aerospace Information Systems. Ashok is a Fellow of the IEEE, the American Association for the Advancement of Science (AAAS), and the American Institute of Aeronautics and Astronautics (AIAA). Formerly he was the Principal Scientist for Data Sciences at NASA Ames Research Center and led the System-Wide Safety and Assurance Technologies project at NASA which has a 5 year budget of nearly $150M. Ashok has significant experience in the internet, adtech, e-commerce, banking, finance, and securities areas. He has lead major engagements as a private consultant and as Senior Director at Blue Martini Software and Senior Consultant at IBM. He is a thought leader in the area of big data analytics, social media, optimization, machine learning, and data mining and has given presentations worldwide on these subjects. He served as a Venture Advisor focusing on big-data analytics at Trident Capital, and was on the advisory board of several startups. Ashok is the author of over 100 research articles in data mining, machine learning, and text mining, and has edited a book on Text Mining: Classification, Clustering, and Applications. Two additional books were published in 2012: Advances in Machine Learning and Data Mining for Astronomy and Machine Learning for Engineering Systems Health Management. A fourth book was released in 2017: Large-Scale Machine Learning in the Earth Sciences. He has 5 patents awarded and over 30 under file. He has won numerous awards including the IEEE Computer Society Technical Achievement Award for “pioneering contributions to intelligent information systems,” the NASA Exceptional Achievement Medal for contributions to state-of-the-art data mining and analysis, the NASA Honor Award for Outstanding Leadership, the NASA Distinguished Performance Award, several NASA Group Achievement Awards, the Distinguished Engineering Alumni Award from UC Boulder, the IBM Golden Circle Award, and the Department of Education Merit Fellowship. The best way to contact Ashok is through email at ashok22 at stanford.edu.